I want to suggest a new social media “challenge” to pass along to your friends. You may be familiar with the miraculous conversion of Alphonse Ratisbonne, co-founder of the Congregation of Our Lady of Sion, who was challenged by an acquaintance to wear the Miraculous Medal and say the Memorare twice a day. I have read several versions, but apparently, he was given the challenge on January 8, 1842, and experienced a vision of the Blessed Virgin, and miraculous conversion, on January 20. If you, gentle reader, are Catholic, get yourself a supply of inexpensive (even free) Miraculous Medals. Get them blessed. If you’re *not* Catholic, and are brave enough to try the challenge, get one. Again, you can request one free from the Central Association of the Miraculous Medal. If, like Alphonse, you or the acquaintance you’re challenging are a skeptic, atheist, secularist, lapsed Catholic, etc., then you’re just wearing a harmless “charm” for a few weeks and taking about 60 seconds out of your day to recite some pretty worms. It won’t do you any harm and may do some great good. Just give it a try. 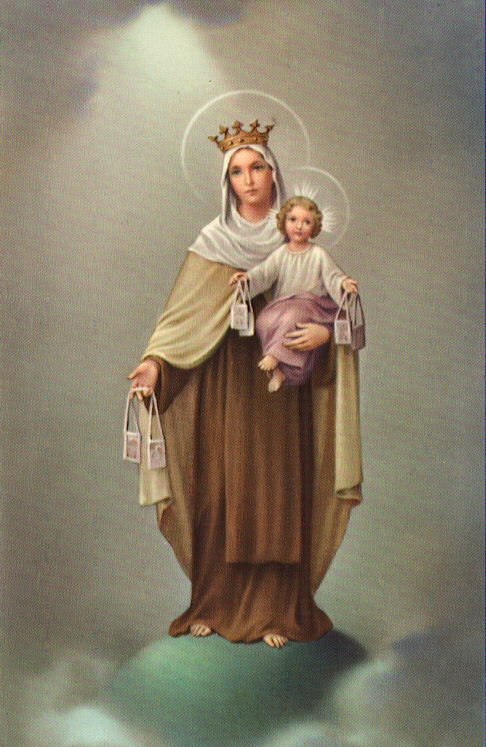 Set aside all the arguments and ask Our Lady to help you know her Son better, in the morning and in the evening, all while wearing her medal. Pass on this link to others. Explain it in your own words. Just do it. Imagine what we Catholics could accomplish with a little bit of faith and a little bit of courage to ask our friends to do this seemingly simple pair of activities. It should come as naturally to us as recommending a book or a movie or a TV show, right? Is Pope Francis “too vague”? A common complaint about Pope Francis is that he’s too vague. For some, that complaint means “he speaks outside my set categories, so I don’t want to agree with him.” For others, it means just that: he’s vague. He sends mixed messages, at least as they’re received. For anyone following the trends of his papacy, it clearly echoes the papacy of Paul VI and the early years of St. John Paul II: appointments of bishops who lean to the “left” politically and liturgically; demotion (generally) of bishops and curial officials who lean to the “right” politically and liturgically; statements that are worded with lots of “wiggle room.” People forget that they made the same complaints about JPII when he was still getting adjusted to the Papacy. It was the *disciples* who complained that the parables were too hard to understand (cf. Matthew 13:10,36). That, as Fr. Robert Barron points out in _Catholicism_, is why they are amazed at His teaching “with authority” (Matthew 7:29). Our Lady told Bl. Francisco that he would have to say “many Rosaries” to avoid Purgatory. Our Lord showed St. Faustina the *years* she would spend in Purgatory for a single venial sin and offered her the choice between a longer life here or dying and spending *more* time suffering in Purgatory. I still believe that Pope Francis is going to surprise everyone doctrinally, as Paul VI and JPII did, and I pray that, given time, his appointments will reflect more what we saw with JPII, though in some cases, years of damage may have already been done–and years in this life could equate to eternity in the case of some souls and years of purgatory for others. O Jesus Christ! Eternal Sweetness to those who love You, joy surpassing all joy and all desire, Salvation and Hope of all sinners, Who have proven that You have no greater desire than to be among us, even assuming human nature at the fullness of time for the love of us, recall all the sufferings You have endured from the instant of Your conception, and especially during Your Passion, as it was decreed and ordained from all eternity in the Divine plan. Remember, O Lord, that, during the Last Supper with Your disciples, having washed their feet, You gave them Your Most Precious Body and Blood, and while, at the same time, You sweetly consoled them, You foretold to them Your coming Passion. Remember all the fear, anguish and pain that You suffered in Your delicate Body before the torment of the Crucifixion, when, after having prayed three times, bathed in a sweat of blood, You were betrayed by Judas, Your disciple, arrested by the people of a nation You had chosen and elevated, accused by false witnesses, unjustly judged by three judges during the flower of Your youth and during the solemn Paschal season. Remember that You were despoiled of Your garments and clothed in those of derision; that Your Face and Eyes were veiled, that You were buffeted, crowned with thorns, handed a reed, crushed with blows and overwhelmed with affronts and outrages. In memory of all these pains and sufferings which You endured before Your Passion on the Cross, grant me before my death true contrition, a sincere and entire confession, worthy satisfaction and the remission of all my sins. Amen. O Jesus! True liberty of angels, Paradise of delights, remember the horror and sadness which You endured when Your enemies, like furious lions, surrounded You, and by thousands of insults, spits, blows, lacerations and other unheard-of-cruelties, tormented You at will. In consideration of these torments and insulting words, I beseech You, O my Saviour, to deliver me from all my enemies, visible and invisible, and to bring me, under Your protection, to the perfection of eternal salvation. Amen. O Jesus! Creator of Heaven and earth, Whom nothing can encompass or limit, You enfold and hold all under Your Loving power. Remember the very bitter pain You suffered when Your enemies nailed Your Sacred Hands and Feet to the Cross by blow after blow with big blunt nails, and, not finding You in a pitiable enough state to satisfy their rage, they enlarged Your Wounds, and added pain to pain, and, with indescribable cruelty, stretched Your Body on the Cross, pulling You from all sides, thus dislocating Your Limbs. I beg of You, O Jesus, by the memory of this most Loving suffering of the Cross, to grant me the grace to fear You and to Love You. Amen. Through this great Mercy, and in memory of this suffering, grant that the remembrance of Your Most Bitter Passion may effect in us a perfect contrition and the remission of all our sins. Amen. O Jesus! Mirror of eternal splendor, remember the sadness which You experienced, when contemplating in the light of Your Divinity the predestination of those who would be saved by the merits of Your Sacred Passion, You saw at the same time, the great multitude of reprobates who would be damned for their sins, and You complained bitterly of those hopeless lost and unfortunate sinners. Through this abyss of compassion and pity, and especially through the goodness which You displayed to the good thief when You said to him, “This day, you shall be with Me in Paradise,” I beg of You, O Sweet Jesus, that, at the hour of my death, You will show me mercy. Amen. I beg of You, O my Saviour, by the sword of sorrow which pierced the soul of Your holy Mother, to have compassion on me in all my affliction and tribulations, both corporal and spiritual, and to assist me in all my trials, and especially at the hour of my death. Amen. O Jesus! Inexhaustible Fountain of compassion, Who, by a profound gesture of Love, said from the Cross: “I thirst!” suffering from the thirst for the salvation of the human race. I beg of You, O my Saviour, to inflame in our hearts the desire to tend toward perfection in all our acts; and to extinguish in us the concupiscence of the flesh and the ardor of worldly desires. Amen. O Jesus! Sweetness of hearts, delight of the spirit, by the bitterness of the vinegar and gall which You tasted on the Cross for Love of us, grant us the grace to receive worthily Your Precious Body and Blood during our life and at the hour of our death, that they may serve as a remedy and consolation for our souls. Amen. Through this anguish, I beg of You, O my Saviour, not to abandon me in the terrors and pains of my death. Amen. O Jesus! Who are the beginning and end of all things, life and virtue, remember that for our sakes You were plunged in an abyss of suffering from the soles ofYour Feet to the crown of Your Head. In consideration of the enormity of Your Wounds, teach me to keep, through pure love, Your Commandments, whose way is wide and easy for those who love You. Amen. O Jesus! Deep abyss of mercy, I beg of You, in memory of Your Wounds which penetrated to the very marrow of Your Bones and to the depth of Your being, to draw me, a miserable sinner, overwhelmed by my offenses, away from sin and to hide me from Your Face justly irritated against me, hide me in Your wounds, until Your anger and just indignation shall have passed away. Amen. O Jesus! Mirror of Truth, symbol of unity, link of charity, remember the multitude of wounds with which You were afflicted from head to foot, torn and reddened by the spilling of Your adorable Blood. O great and universal pain, which You suffered in Your virginal flesh for love of us! Sweetest Jesus! What is there that You could have done for us which You have not done! May the fruit of Your suffering be renewed in my soul by the faithful remembrance of Your Passion, and may Your love increase in my heart each day, until I see You in eternity: Who are the treasury of every real good and every joy, which I beg You to grant me, O Sweetest Jesus, in heaven. Amen. O Jesus! Strong Lion, Immortal and Invincible King, remember the pain which You endured when all Your strength, both moral and physical, was entirely exhausted, You bowed Your Head, saying: “It is consummated!” Through this anguish and grief, I beg of You, Lord Jesus, to have mercy on me at the hour of my death when my mind will be greatly troubled and my soul will be in anguish. Amen. O Jesus! Only Son of the Father, Splendor and Figure of His Substance, remember the simple and humble recommendation You made of Your Soul to Your Eternal Father, saying: “Father, into Your Hands I commend My Spirit!” And with Your Body all torn, and Your Heart Broken, and the bowels of Your Mercy open to redeem us, You Expired. By this Precious Death, I beg of You, O King of Saints, comfort me and help me to resist the devil, the flesh and the world, so that, being dead to the world, I may live for You alone. I beg of You at the hour of my death to receive me, a pilgrim and an exile returning to You. Amen. O Jesus! True and fruitful Vine! Remember the abundant outpouring of Blood which You so generously shed from Your Sacred Body as juice from grapes in a wine press. From Your Side, pierced with a lance by a soldier, blood and water issued forth until there was not left in Your Body a single drop, and finally, like a bundle of myrrh lifted to the top of the Cross, Your delicate Flesh was destroyed, the very Substance of Your Body withered, and the Marrow of Your Bones dried up. Through this bitter Passion and through the outpouring of Your Precious Blood, I beg of You, O Sweet Jesus, to receive my soul when I am in my death agony. Amen. O Sweet Jesus! Pierce my heart so that my tears of penitence and love will be my bread day and night; may I be converted entirely to You, may my heart be Your perpetual habitation, may my conversation be pleasing to You, and may the end of my life be so praiseworthy that I may merit Heaven and there with Your saints, praise You forever. Haven’t written much lately, and have several posts saved as drafts, but wanted to post some thoughts on a report that talks are still continuing informally between the Vatican and the Society of St. Pius X’s superior, Bishop Bernard Fellay. When he spoke in Columbia several years ago, Fr. Benedict Groeschel, CFR, said that, in his experience, the higher you go in any given “denomination,” you’re generally more likely to find people who are reasonable and open to dialogue. He told a story of giving an address to a Baptist seminary once on the Marian dogmas and how they reinforce authentic Christology. He said the ordained ministers and the theology professors all nodded in agreement. The students and other laity present got angrier and angrier as his talk progressed. I’ve only ever met one SSPX family “IRL” that I can recall. It was at the Traditional Latin Mass the Priestly Fraternity of St. Peter (FSSP; the Order established by St. John Paul II for former SSPX members who were willing to return) used to offer monthly in Columbia–ironically, after Summorum Pontificum, they said they could no longer afford to drive from Atlanta every month unless the attendance increased. They offered to train one of the local priests. The only one who was willing was transferred, and no other pastor would volunteer to host or celebrate the Extraordinary Form. Anyway, one of the only times I brought my whole family, there was this “nice” young family visiting their family for the holidays (I am not being politically correct; I forget which holiday it was). Our kids played with their kids while we talked after Mass. They told us, “We only came here because there wasn’t an SSPX parish nearby. . . . ” They actually said they felt guilty for attending a “fake” Latin Mass and that, back home, they had both FSSP and SSPX but attended the latter. That, to me, summed up the problem and crushed any hope of formal reconciliation. Bishop Fellay seems like a man of good will. He may get some of the other bishops and many of the priests to agree to reconciliation with Rome, but the priests and the laity already have the freedom to rejoin “full communion” (I’m choosing my words carefully) if they want. The priests can join the FSSP. The laity can just come to a local EF, but they won’t, because they fundamentally oppose the “New Church.” If Rome tomorrow said, “The suspension of SSPX is lifted, and they are in full communion and enjoy full canonical status as a [personal prelature or ordinariate],” there would still be Ross Perot’s “Giant Sucking Sound” of people defecting to Williamson’s group, the SSPV, etc. Most people think the Mass is the issue, but it’s really a relatively small issue. The real problems the SSPX and other (for lack of a better term) “RadTrad” groups have stem from the documents: the vague wording, the teachings on religious liberty, _Nostra Aetate_ (which Pope Benedict XVI said was open to criticism for its naivete), etc. The fundamental issue of the “schism” (for lack of a better word), though not an official SSPX position, was the new rite of episcopal ordination. Bishop Fellay and other critics of the Second Vatican Council argued that the new rite has key points in which it diverts from the common traditions of all Catholic rites in history that render all post-Vatican II episcopal ordinations, in their view, invalid–including that of Josef Ratzinger. That is why Bishop Fellay ordained the group of four relatively young priests as bishops in 1988 against Vatican approval: to ensure in his view a valid line of Apostolic Succession, but ignoring that the ordinations would be canonically illicit and incurring excommunication on himself and the four young valid but illicit bishops. When B16 succeeded St. John Paul II, the SSPX website got friendlier to Rome. It praised him and featured him prominently when he lifted the excommunications of the four bishops and opened discussion. It praised him even more when he issued Summorum Pontificum. Then suddenly it got very quiet. Rome made an offer. The SSPX refused. Controversial Bishop Richard Williamson was expelled but Fellay started sounding like Martin Luther. The Benedict, for whom reconciliation with SSPX was a target of his papacy (how could the Church expect to heal centuries of other divisions without starting from the most recent?) gave his radio address saying it’s OK to criticize _Nostra Aetate_. He appointed Archbishop Gerhard Muller, often seen as something of a “liberal” to many of us because of his sympathy for liberation theology and his calls for St. JPII to retire, as Prefect of the Congregation for the Doctrine of Faith. Then, a few months later, after few headline-grabbing statements, Benedict resigned. His resignation of course created the situation of “two Popes,” a scenario which many traditionalists and many who were not previously “traditionalists” saw as potentially fulfilling warnings from various saints and visionaries. There is so much pride and anger and hard-heartedness mixed up in all of this. I don’t doubt there are forces at work in the Vatican who squashed the talks and probably contributed to the Holy Father’s decision to resign, but there is so much hard-heartedness among the rank and file of the SSPX that, if Rome issued a statement tomorrow saying, “The faculties of all bishops and priests of the Society of St. Pius X are reinstated, and the Society will enjoy canonical status as an Ordinariate,” even then you’d hear Ross Perot’s “Giant Sucking Sound” of SSPX members starting yet another group, joining Williamson’s group, or joining the Society of St. Pius V.
St. Pius X and St. John Paul II, pray for unity of the Pilgrim Church on Earth.